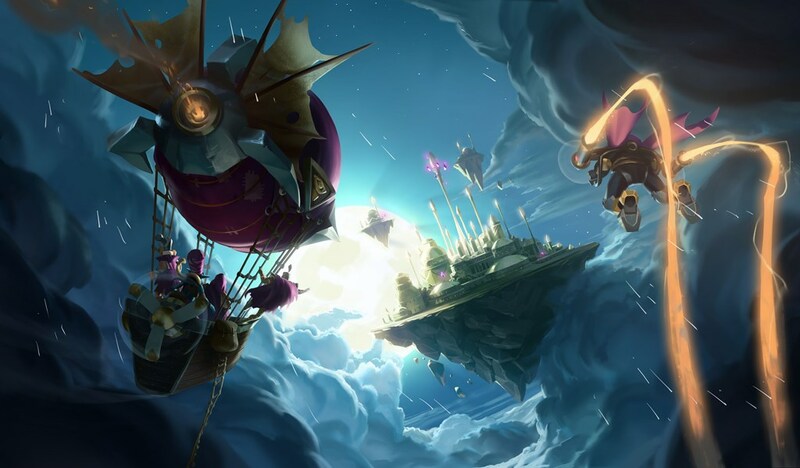 Blizzards unveiled another new card from Hearthstone’s Rise of Shadows expansion this evening. 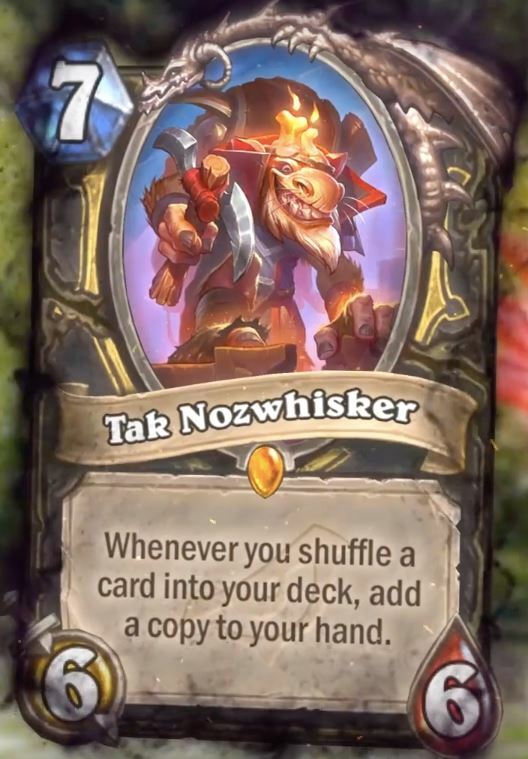 This one is a new Legendary minion for the Rogue class named Tak Nozwhisker. The card is a seven-cost minion with six Attack and six Health. It also has an effect that’s bound to get the community talking—whenever you shuffle a card into your deck, Tak allows you to add a copy to your hand. This will be an interesting way for players to repopulate their deck with potentially high-value cards, provided it receives proper support. Rogue has always been a class that makes use of bouncing cards from the board to its hand and from its hand to its deck. The good news is this playstyle looks like it will still be an option for the class going forward. Check out all of the fun new Rogue toys when Rise of Shadows drops on April 9.